Get ready for the superlatives. Last Friday, in wonderfully warm late March sun, I started at the top. First up this year was a visit to Château Latour. Frankly you couldn’t get a better introduction to the extraordinary quality of this vintage – the proverbial game of two halves. In 2018 an incredibly wet first half of the growing season was followed by a sunny, hot halcyon, game changing second, that spanned July to October. 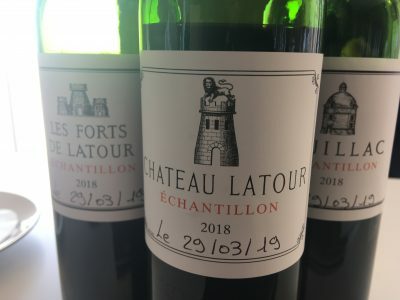 The ripeness and depth of fruit and the texture of Château Latour in 2018 immediately reminded me of 2009. Yet there is real freshness here too. This is Latour that is a mix of 2009 and 2010. Wow! An early visit to Château Palmer was a great start to day three on the 2017 primeurs trail. The morning was sunlit once again [it would get up to 25C later] and Thomas Duroux was in good form, as were both Alter Ego and Palmer. 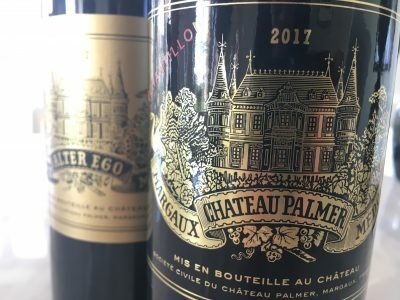 If 2017 Palmer is not in the league of the fab 2016s or 2015s here, this is seductive Margaux. The consistency the property now achieves is remarkable, in large part due to Duroux’s attention to detail and their biodynamic practices. I’ll write in more detail on Palmer and what they are up to soon [natural yeast ferments, seriously low sulphur use – it’s all fascinating}. Although Duroux sees Palmer ’17 as its own beast, it reflects elements of 2014 with the tannic structure of ’08 he reckons. For me the grand vin was nimble with great perfume. Margaux played a blinder as an appellation in 2015. While that vintage proved tricky further north on the left bank due to rain, Margaux produced some of its best ever wine. 2016 can also be considered a great success. These are two fascinating vintages to compare here. 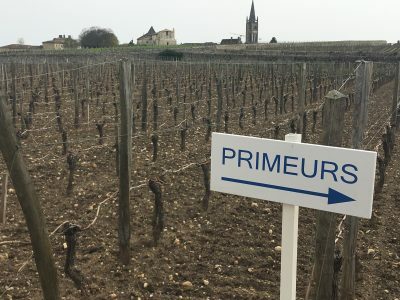 Coming to these wines earlier this year I was concerned that the 2016 summer drought may have affected some of Margaux’s drier terroirs but, with a few exceptions, this didn’t appear to be the case. At the Union des Grand Crus de Bordeaux’s tasting generally there was plenty of that wonderful Margaux perfume on offer, lots of ripe fruit and the beautifully textured tannin that so defines this vintage. If there was over extraction in some, many have made wines to rival and even exceed 2015. 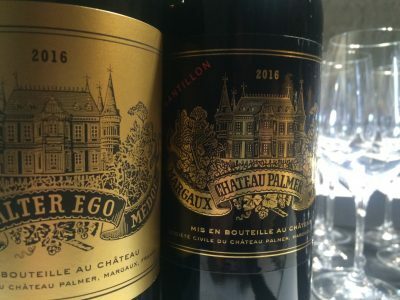 The pleasures of Bordeaux 2016 continue at Château Palmer, the Margaux appellation’s ambitious overachiever. The property has been on a roll for over a decade. Palmer 2016 is amongst the very best that the vintage has to offer. 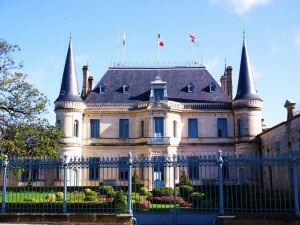 It rivals first growth Château Margaux [again]. If 2015 was all power here, the 2016, by comparison, is beautifully aromatic, with wonderfully plush fruit and velvety tannins. There is freshness too with a nice spine of acidity. 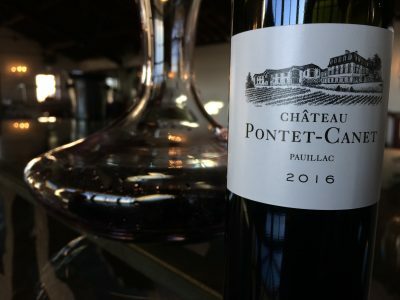 It is a fantastic wine, difficult to imagine Bordeaux being any better to be honest. The purity is fantastic. Pricing, however, is once again firm shall we say and in sterling terms at least this is the most expensive Palmer yet released. Alter Ego, the other wine produced at the property – not quite a second wine, more a different, fruit driven interpretation of the terroir – is succulent and appetising.